يحظى فندق فندق والدورف كانبيرا أبارتمنت بمكان متميز في محور كانبرا سياحة, الأعمال, ثقافة في منطقة مركز مدينة كانبيرا الفاتنة. إن موقعه الجيد الذي يبعد 1 km فقط عن مركز المدينة يساعد النزلاء على الاستمتاع بمعالم المدينة ونشاطاتها. يضفي محيط الفندق اللطيف وقربه من ‪ACT Legislative Assembly‬, Handmade Canberra, سوق كينجستون التجاري سحراً خاصاً على هذا الفندق. إن الخدمات الممتازة وحسن الضيافة العالي في فندق والدورف كانبيرا أبارتمنت تجعل إقامتك تجربة لا تنسى. لضمان راحة ضيوفه، يقدم الفندق الخدمات التالية: خدمة التنظيف يوميًا, مكتب الاستقبال على مدار الساعة, تخزين الأمتعة, صف السيارات, خدمة الغرف . تعكس غرف الفندق البالغ عددها 48 المنتشرة في 9 طوابق جواً من الدفء والألفة.خدمات عصرية مثل تلفزيون بشاشة مسطحة, غرف لغير المدخنين, مكيف هواء, تدفئة, مكتب موجودة في بعض الغرف المختارة. يقدم الفندق مجموعة رائعة من الخدمات كمثل حوض استحمام ساخن, مركز للياقة البدنية, حمام سباحة داخلي, سبا, ملعب تنس، لجعل إقامتك تجربة لا تنسى. إن فندق والدورف كانبيرا أبارتمنت هو خيار ذكي بالنسبة للمسافرين إلى كانبرا، بما يوفره من إقامة هادئة ومرحة. I got a great rate for a one bedroom suite on a weekend. 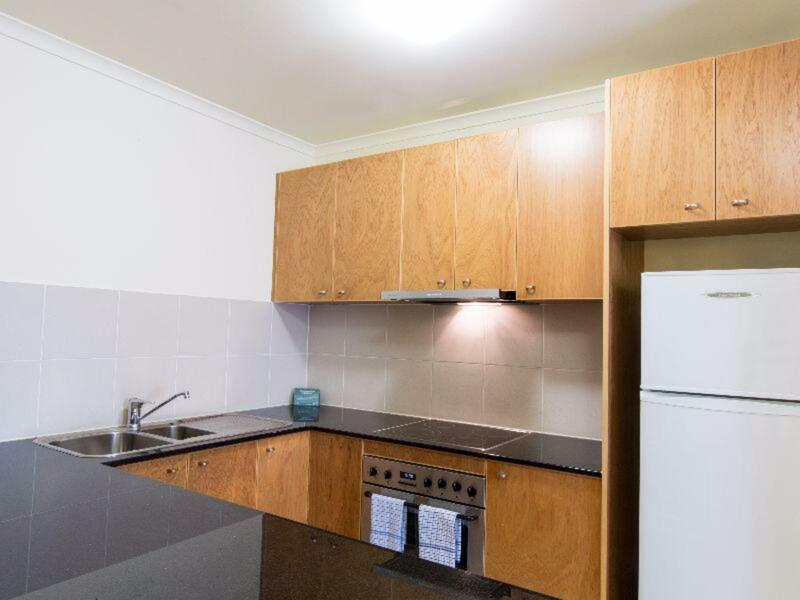 Great location in the arts end of the cbd. Beware though there is a significant amount of construction work outside but not much work on the weekend. I enjoyed my stay here . It was a nice surprise that my room was upgraded . The staff were friendly and helpful . Maybe the spa bath could have worked better . The water was a bit cool and the water level was not very high . The pool was quite good . For an apartment we found housekeeping came around too early to clean. However we found that the floors were not cleaned at all during our stay. Internet strength was inadequate. Other than that we enjoyed our stay there very much. 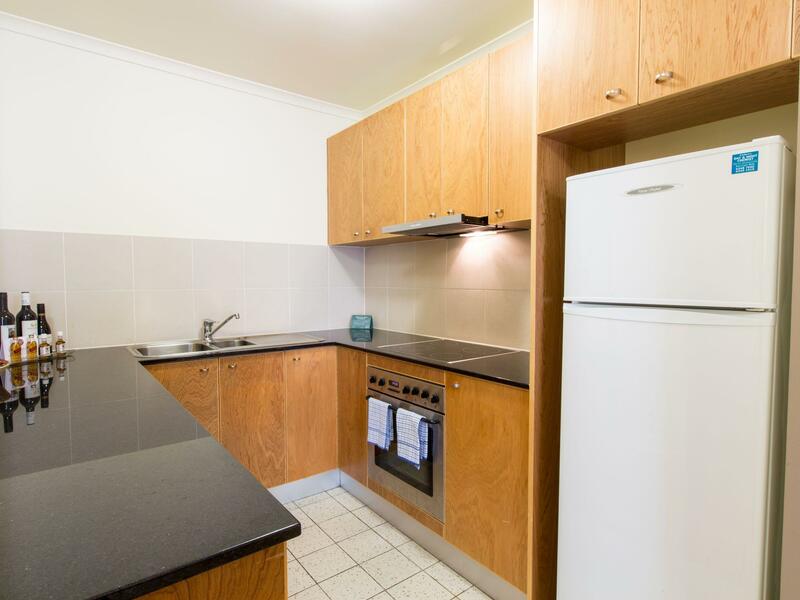 Great location and ideal if you are spending a few days in Canberra and want access to a kitchen and a laundry. I've stayed at the Waldorf 5/6 times previously... At the price it's very hard to fault It's in a perfect location and the rooms are reasonably spacious . There is a kitchen which is very handy for self catering however I found some of the untensils very dirty and unfit to use. 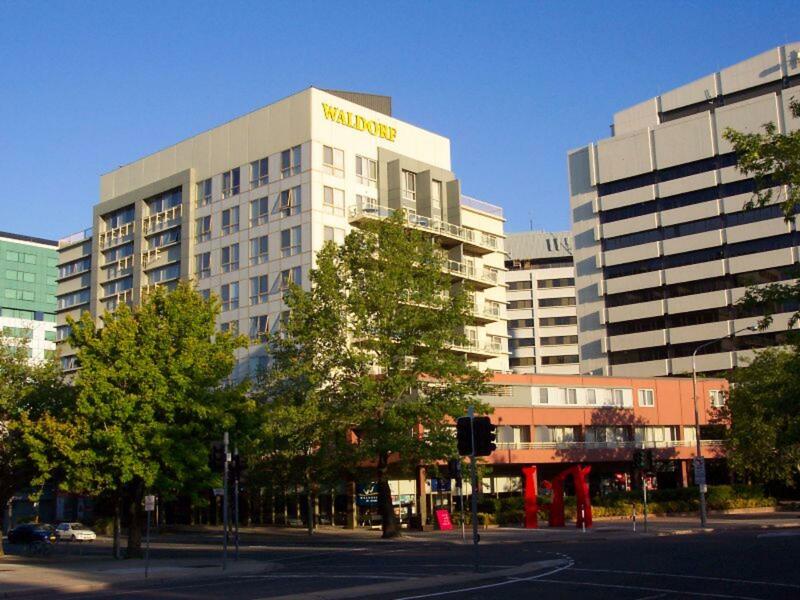 Overall , the Waldorf is good value for money, the staff are freindly ! The 1 br apartment was clean and tidy, however the coffee table might need to be replaced because it wasn't sturdy. Was worried about my 14mnths old boy would bumped on to it and break the table. 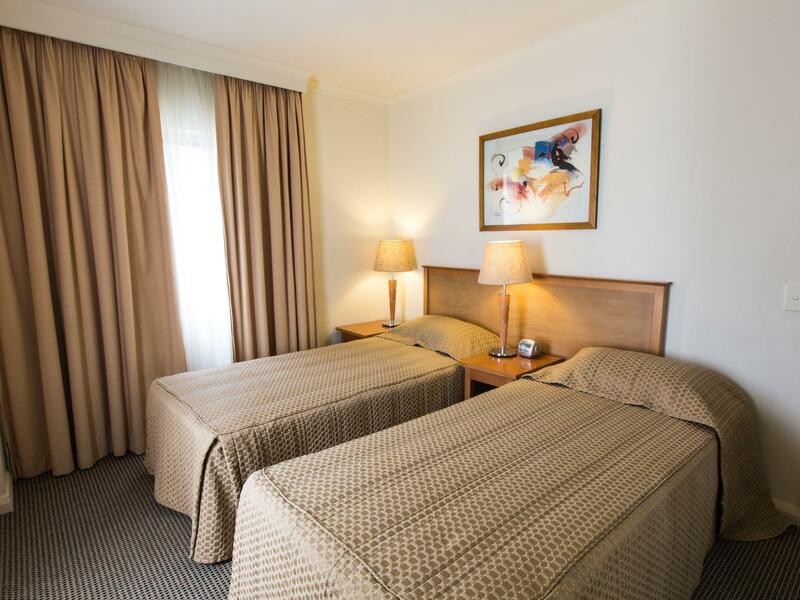 Located in the city, walking to shops and mall although there's convenient store in the building which was very handy. Staff are friendly, good customer service. There's limited of guest parking space in the building and cost $15/day. When the parking space are full, you need to park the car out in the street and move it in the morning elsewhere. I loved the Waldorf and would easily stay here again. The facilities were excellent, even had a washer/dryer and I could cook meals if I wanted to. The staff were lovely and very helpful. The car park got a bit full one night and someone came down immediately to help me out which was brilliant. I used the pool which was great and had a look at the guest lounge and gym. All great facilities. I felt extremely safe here -they have a number of cameras around the place monitoring security. They have a 24 hour desk I believe and were always available to help you out. Great place, great people. I highly recommend for this reasonably priced, centrally located, well-resourced accommodation. Great location in the arts end of Canberra and appropriately discounted for the construction work outside but still very quiet on the weekends. We enjoyed the general stay. However, the dryer was not working properly which caused the laundry to be wet until the end of our stay. Also, we didn't receive any help although we carried so many luggage. 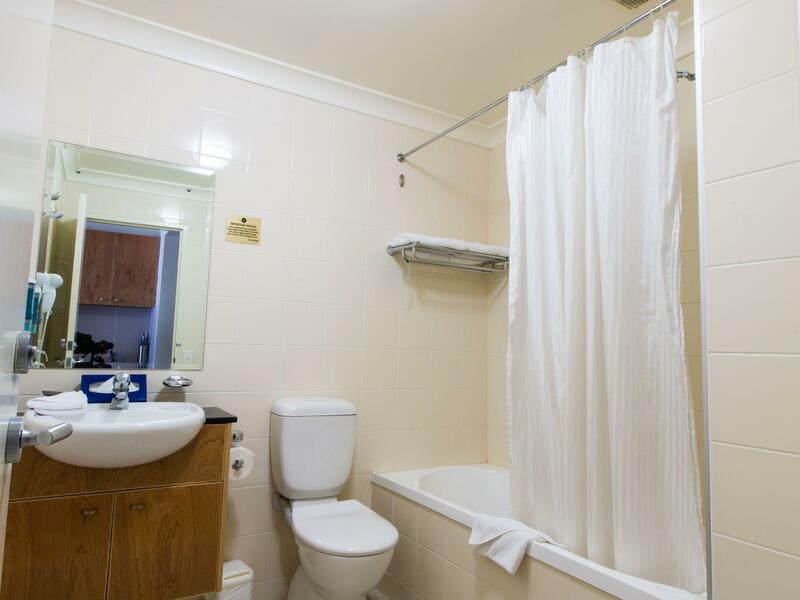 Great location, room, staff. Very clean with clean linen. Washing Machine & Dryer was a pleasant and much needed surprise. I have to commend the front desk staff. FANTASTIC! They were very pleasant, helpful & knowledgeable. Thank you to all. When next in Canberra we will definitely stay here! Staff were unfriendly. Restaurant staff were very unhelpful, it took 20 mins before they asked if we were ready to order, didnt offer us any drinks - even when we went to the bar, the staff memeber just walked away.So at that point so did we! Room was very noisy, night club accross the road, bed was very lumpy, bathroom not 100% clean. Location was great for going to the Canberra Theatre. However if driving, its a nightmare. Nowhere to park to go check in and the motel parking itself is hit and miss and hard to park when you do find a vacant spot. The staff, we were unfortunate to be checked in by someone not very pleasant. She didnt seem to care. She didnt tell us our room number or how to get to our room. And seemed to resent us asking questions. Other staff however were very pleasant. But in saying all that yes I would definitely stay there again if I needed to be in the city. I like the environment. besides, we can do the laundry inside the apartment. It's quite convenient for us and we love it very much. The location made it easy to see the main places in Canberra. Rooms were very clean. The staff were very helpful. Being able to cook and wash our clothes were a big plus. The housekeeping was great. It was easy to visit many of the places in Canberra.